For over 35 years, JULIAN VINCE has been best known amongst DOCTOR WHO fans worldwide for his "near-legendary" work in recreating props, models, sets, and images from the original, Classic BBC TV Series. Perhaps most famously, he's recognised for making the epic, "MISSION OF THE DALEKS" (aka "MISSION OF DOOM") film back in the early 1980s. 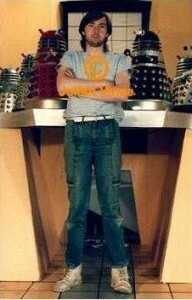 He has also produced vast amounts of DALEK recreations from the show, including the large 1967 version of the EMPEROR DALEK, from "THE EVIL OF THE DALEKS". His work has starred on television, in adverts, books, videos, DVDs, magazines, newspapers, posters, merchandise, and even on the cover of British television guide, RADIO TIMES, to celebrate the 40th Anniversary of the series! 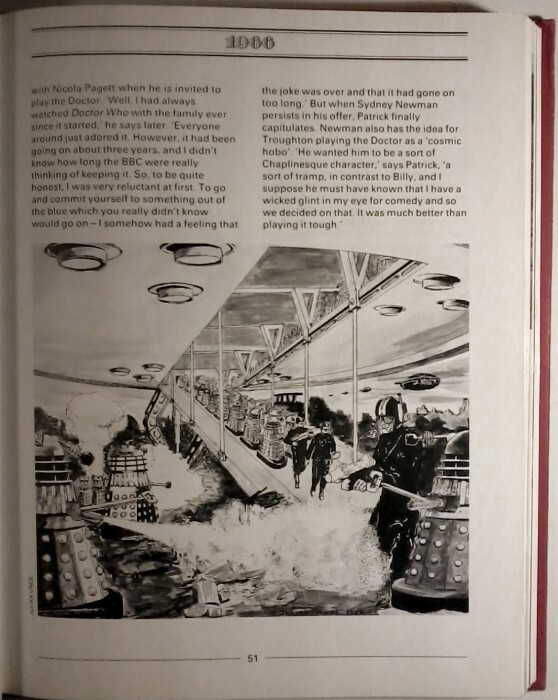 Long before the internet came into existence, or before the wealth of DOCTOR WHO information & blueprints, so easily accessed by anyone these days, there was almost nothing available to fans as reference material for making props. JULIAN, was at the cutting edge of fan-based model making in the 1970s. He was a pioneer in his field of accurate replicas from the TV series. His models were made with the most minimal of information, yet his observations, discoveries, and desire to create authentic-looking work from the show, paved the way for the, now common-place, knowledge of today's thousands of DALEK websites, and DALEK replicas. Having worked with many of the actors and production people from the original TV series, he has amassed a large volume of work & images, some of which we feature on this dedicated website. His work continued for 3 decades, before coming to an abrupt halt in 2000, when his ability to work was taken from him. Now, after years of seriously ill health, he talks for the first time in a decade about his past work, and of new hopes for the future. This includes work in progress, which features a old monster, and a new film, for which he is looking for fan actors and behind-the-scenes people to help out in the production.